Hero MotoCorp Ltd., the world’s largest two-wheeler manufacturer, has set a new benchmark in the two-wheeler market by launching an e-commerce portal to retail Hero Genuine Parts and Accessories. www.hgpmart.com​- an exclusive e​-commerce platform dedicated to Hero customers – will enable them to purchase Hero Genuine P​arts and Hero Genuine Accessories online directly from the Company. The will allow them to buy the correct parts for their motorcycles and scooters, at the click of a button, from the comfort of their homes. As the market leader, Hero MotoCorp is focused on innovation across its service offerings. 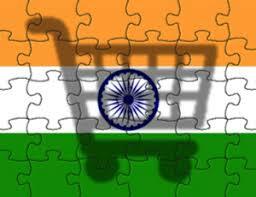 Through this is e-commerce website, the Company plans to reach its customers across the country efficiently. Hero MotoCorp will use a hub and spoke model to ensure deliveries to customers are swift and timely. The Company will service the customers through its extensive reach of close to 100 Parts distributors across the country. Thus, ensuring smooth supply and easy availability of fast-moving parts. The Company has partnered with Delivery, a pan India e-commerce logistics service provider, to deliver parts and accessories to customers across the country. Hero MotoCorp had earlier partnered with Snapdeal, through which the company sold over 500,000 two-wheelers, in just over a calendar year.